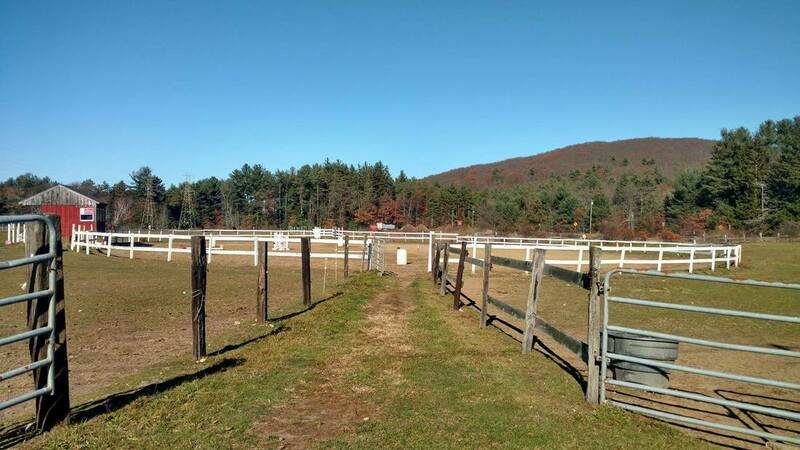 Nestled between two beautiful mountain pine forests, CMEC is a rustic home to over 35 horses. At Craig Memorial, we know your horse is your best friend, and we treat them like their our best friend too! Boarding your horse with CMEC will guarantee that your horse gets to live in a calm, peaceful, and natural setting. We have a knowledgeable and professional staff that is available to meet the needs of your horse with live-in staff members on the premises at all times. We feed Poulin Grain. We offer three different options for board services, and several options for stabling and turnout. Use of riding arenas and access to miles of trails. Stall or stall with small paddock, daily turnout (weather permitting), daily stall cleaning, two feedings of hay and grain per day and clean, fresh water provided by staff. This option does include use of our 120X60 indoor arena. Pasture Board: This includes access to a run-in shed and a medium-sized paddock, daily turnout (weather permitting), daily stall cleaning, two feedings of hay and grain, and clean, fresh water provided by staff. Rough Board: Owner is responsible for providing hay, grain, shavings. 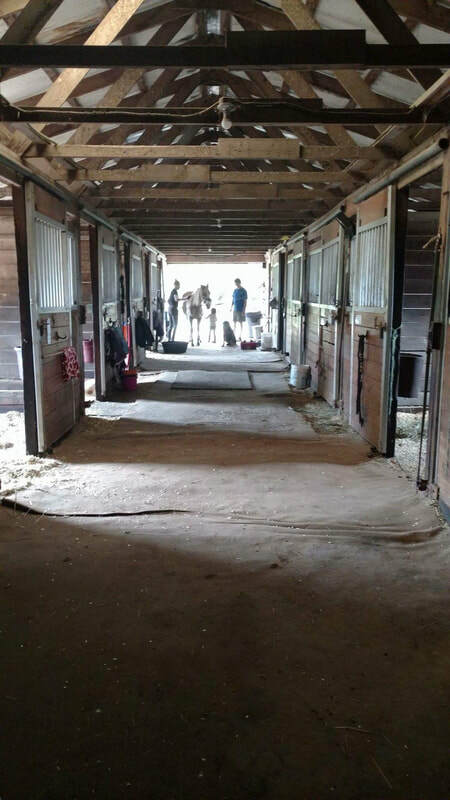 Owner is responsible for all feeding and turnout and must provide fresh water, hay and cleaning of the stall and/or paddock. Please contact us for pricing on these services. *Many boarders find a pasture or full board to be the cheapest option if you are unable to guarantee care 365 days a year. We have a responsibility to ensure the welfare of the horses on our farm so if an owner is unable to provide proper care to their horse any day, we are compelled to charge a service fee and provide the necessary care for that day. 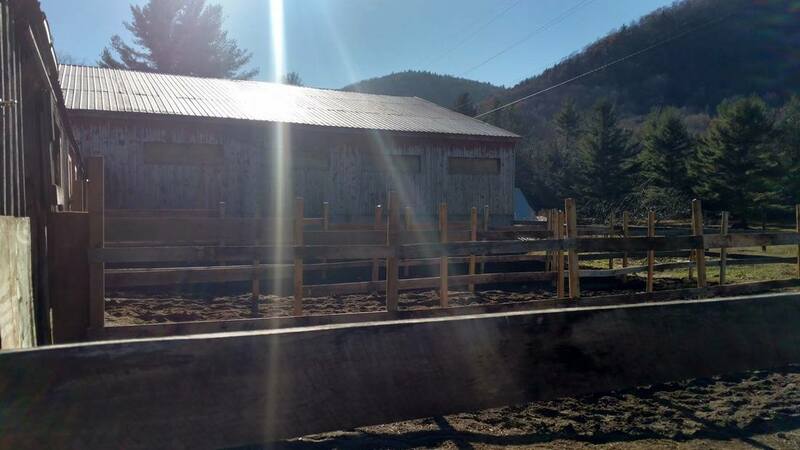 Thank you for your understanding and cooperation. .
Our ten stall barn off of the 120X60 indoor arena. 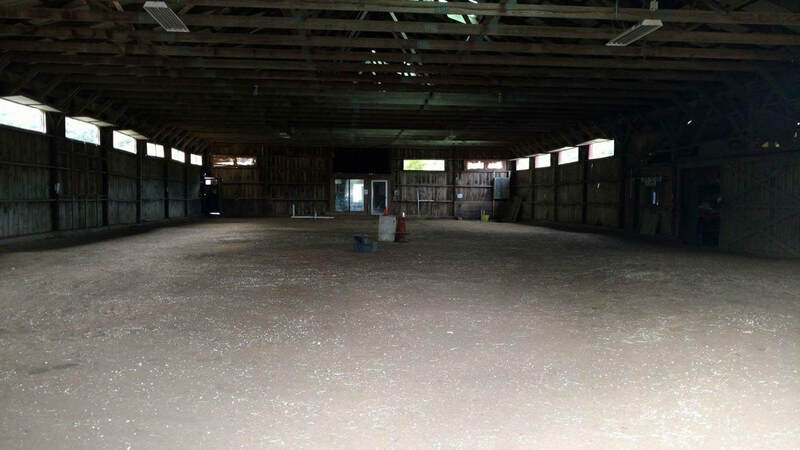 Our 120X60 indoor arena attached to a ten stall barn. Our round pen, great as a training tool! Our outdoor show and gaming ring.